This statistic shows the infant mortality rate per 1,000 live born children in the Netherlands from 2007 to 2017. 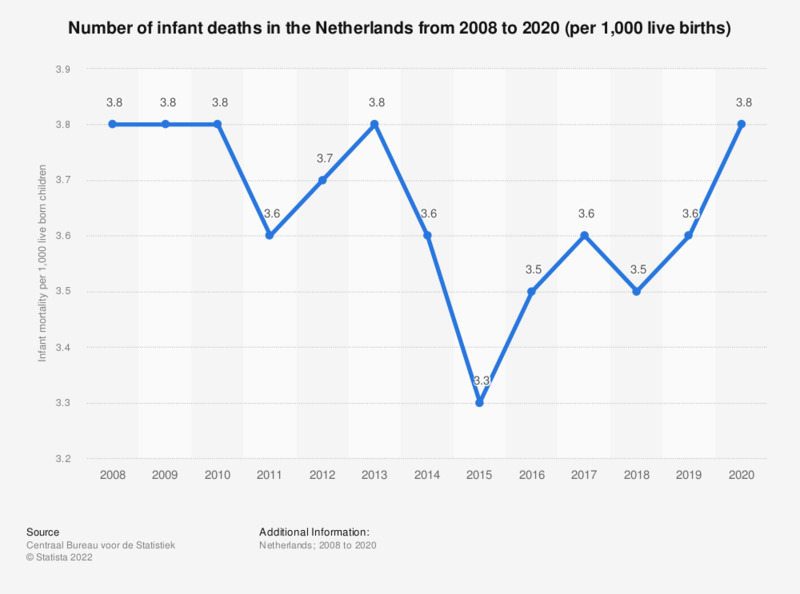 It reveals that between 2007 and 2017 the infant mortality rate in the Netherlands almost continuously declined, from 0.41 percent in 2007 to 0.36 percent in 2017. The number of live-born children who died before their first birthday.